Inevitably perhaps, this series has been dominated by the achievements of Victorian men. 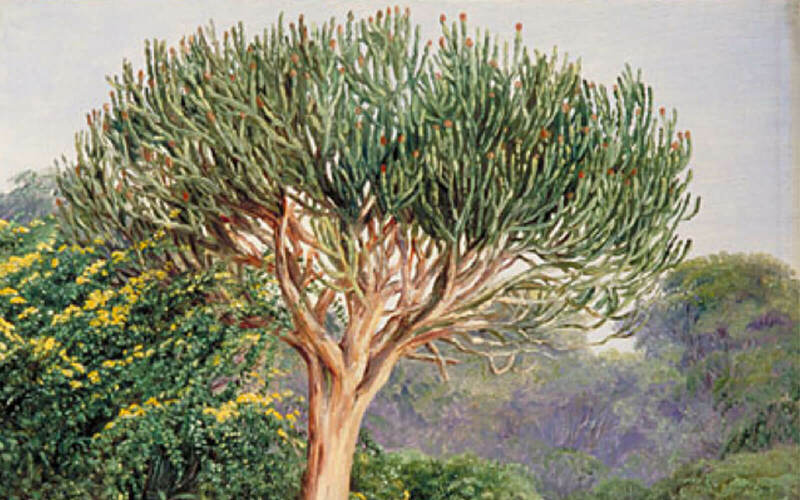 It is time, however, to pay tribute to a remarkable woman who visited Natal in the 1880s and made an invaluable record of some of its natural beauty. 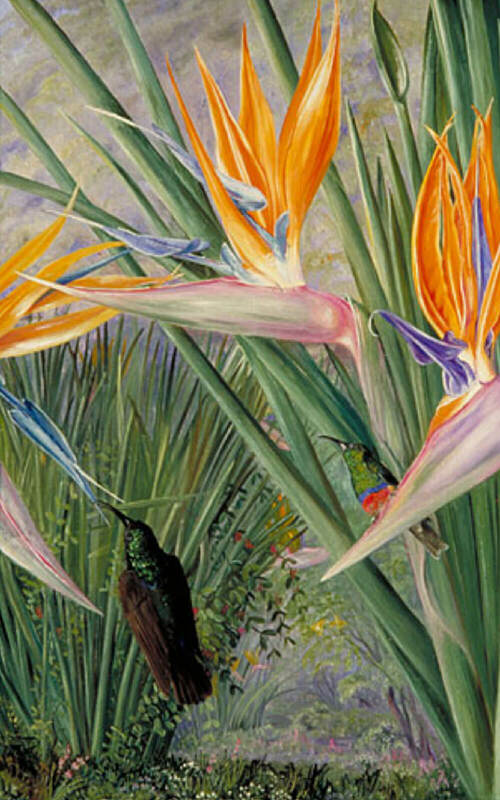 Her name was Marianne North. She was the eldest daughter in a prosperous land-owning family in Norfolk. Her father, a Liberal MP for Hastings, had a distinguished record of public service. Marianne planned a career as a vocalist. When her voice proved unsuitable for this, however, she resolved to turn to another interest: the painting of plants and flowers. After her mother’s death, she travelled to the Levant with her father in the 1860s. After her father died, Marianne visited North America, Jamaica and Brazil. In 1875, she began a journey round the world, spending much of 1878 in India. 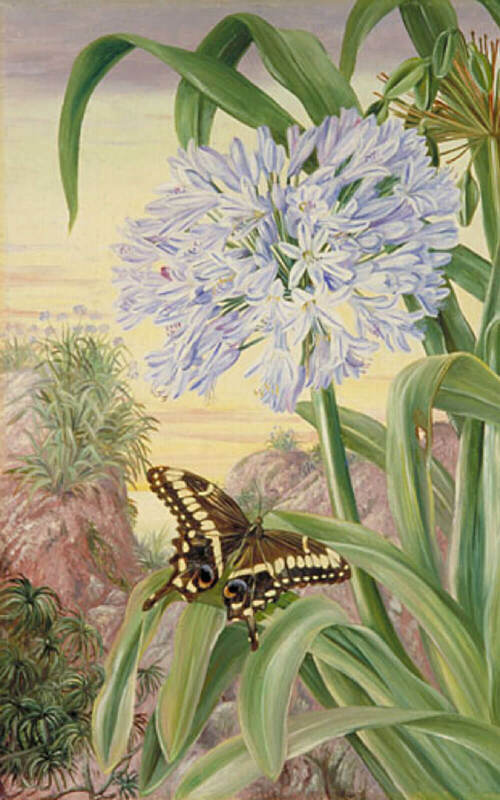 Wherever she went, she painted natural scenes as well as detailed pictures of plant life in each region. At that time, with the new science of photography still in its infancy, painting was the only method of making a permanent record of such subjects. On her return to Britain, she displayed much of her art in London. 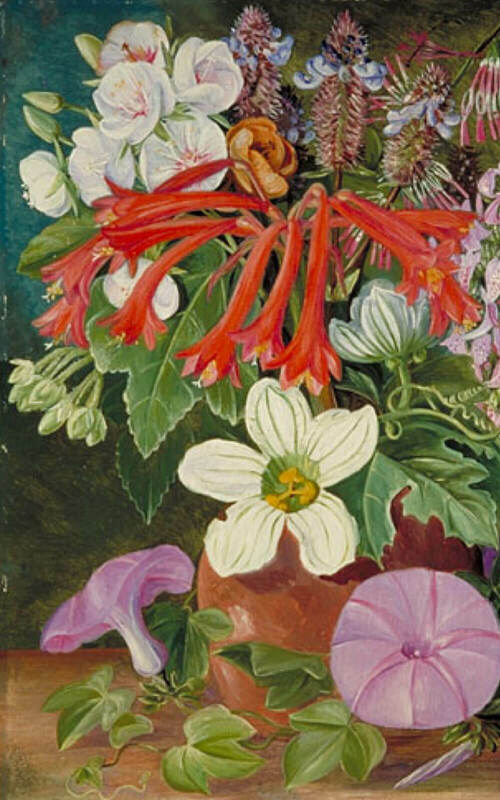 She offered her collection to the Royal Botanical Gardens at Kew and later, at her own expense, erected a gallery to house them. Charles Darwin suggested she should visit Australia, which she did in 1880, then going on to New Zealand. 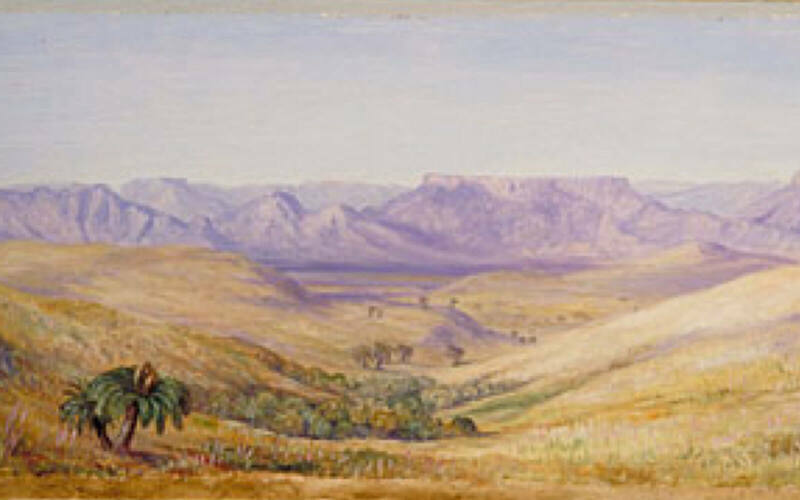 By 1883 she had visited South Africa, painting in the Cape peninsula and at Port St John’s before travelling to Natal. She spent time in Durban and at Verulam before travelling up the new railway line to Pietermaritzburg. There she was the guest of the Colenso family at Bishopstowe. Here she was able to look out towards the local Table Mountain, which she had first seen from her railway carriage on the journey inland. 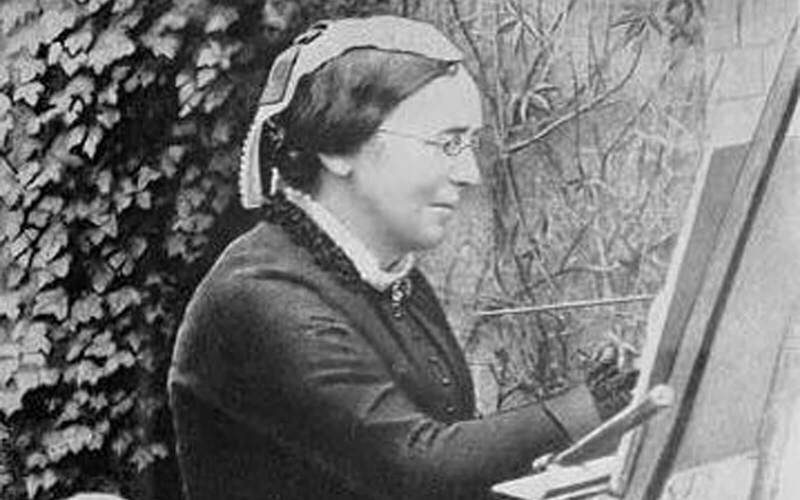 She produced many Natal paintings. 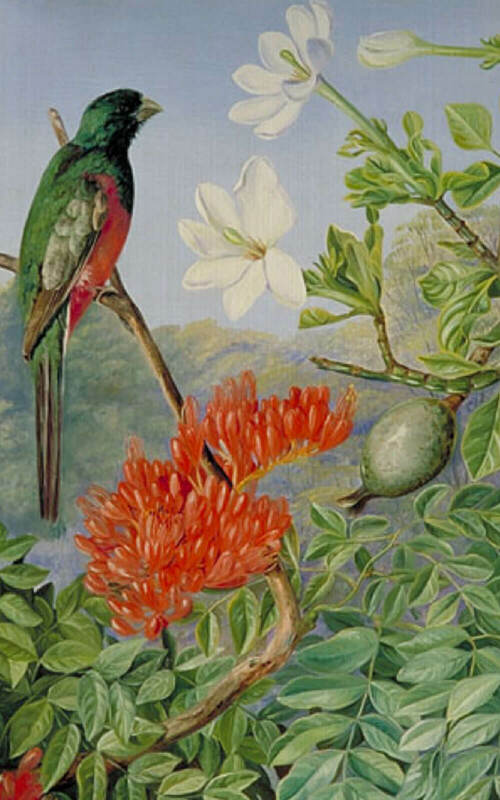 On her return to Britain, she built a new wing at the Kew gallery to accommodate her South African studies. 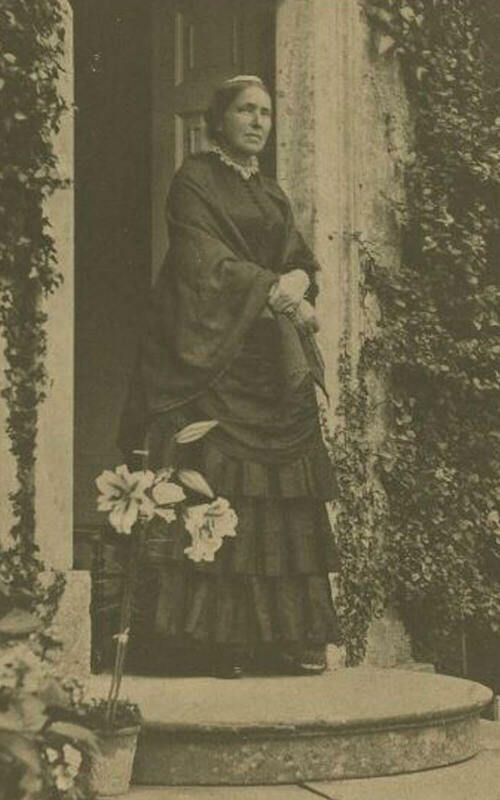 In 1884 she travelled to the Seychelles and Chile, returning the following year. She died five years later at Alderley, in Gloucestershire, where her grave can be seen in the local churchyard. 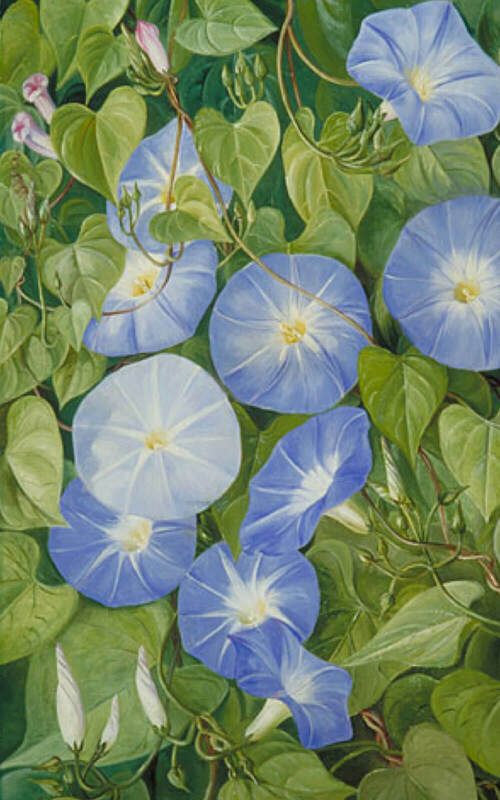 The scientific accuracy of her paintings has given her work a permanent value. 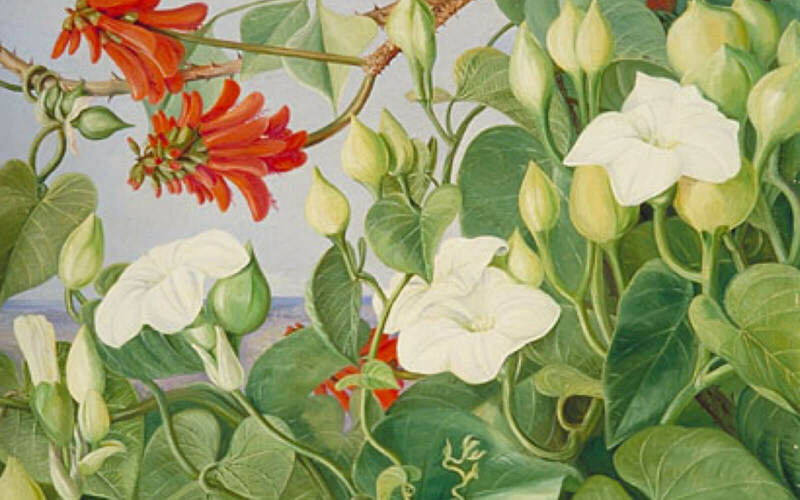 A number of plant species have been named in her honour, as well as a genus of plants now known as Northia. 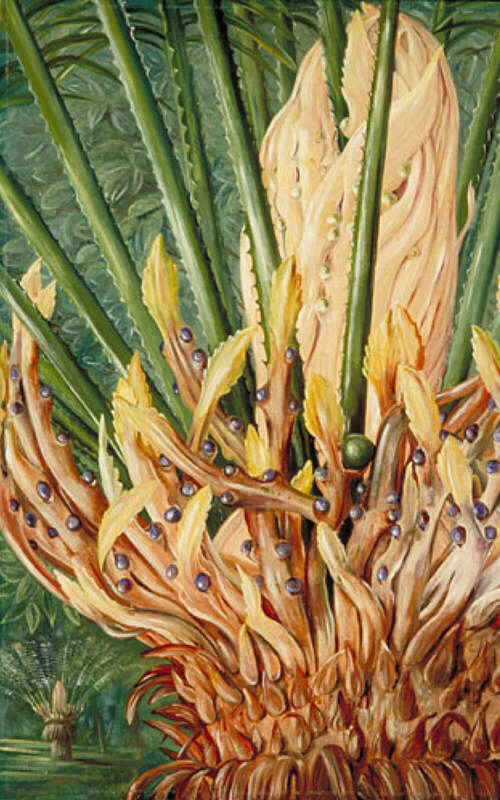 Marianne North had the vision, the determination and above all the means to make an important and lasting contribution to botanical science. Robin taught History for many years at Kearsney College. 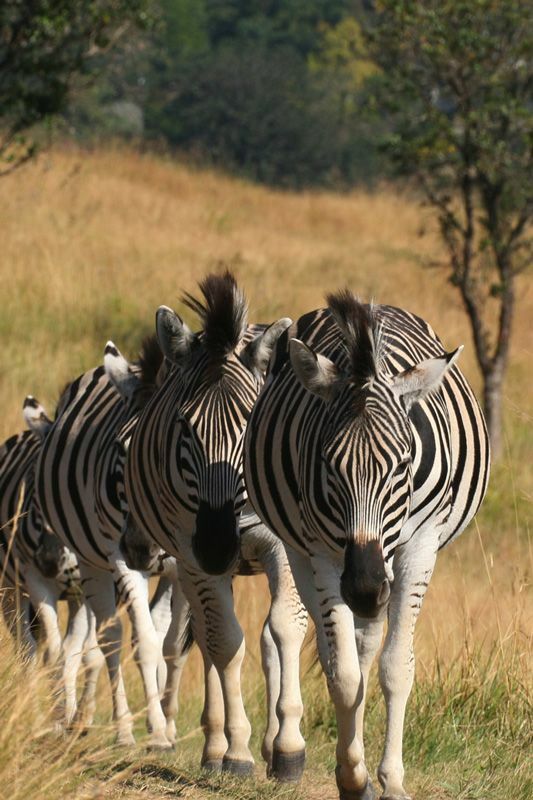 Since 2004 Jean and he have lived in a hillside complex at Waterfall, daily enjoying the quiet, the views and the wildlife. Robin is also a regular contributor of historical articles to a number of magazines.